The statement came as Iranian President Hassan Rouhani lambasted the US sanctions against Tehran as a "clear instance of economic terrorism", aimed at hampering the Iranian economy. Iranian Foreign Minister Mohammad Javad Zarif has slammed the US for selling excessive amount of arms to Middle Eastern countries, which he said has turned the region into a "tinderbox." "The level of arms sales by the Americans is unbelievable and much beyond regional needs, and this points to the very dangerous policies followed by the Americans," he was quoted by Iran's state-run Islamic Republic News Agency (IRNA) as saying. 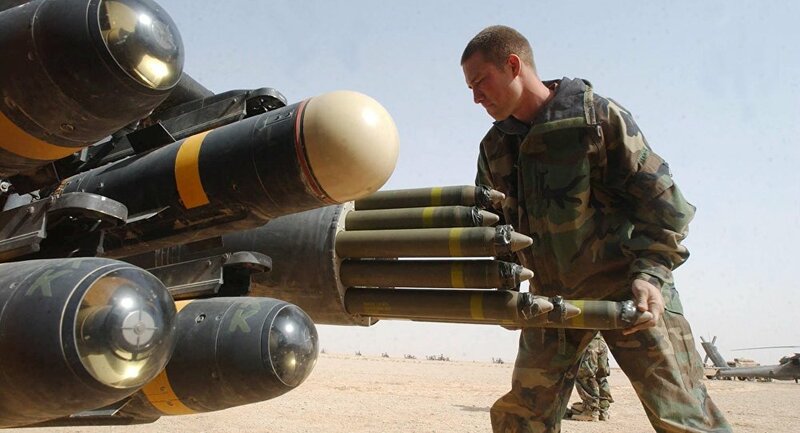 The US remains a major arms supplier for a number of Middle Eastern counties, including Saudi Arabia, which has aggravated Washington's already-strained relations with Iran. Earlier, US President Donald Trump said he will not stop arms sales to Saudi Arabia in response to the murder of Saudi journalist Jamal Khashoggi in early October. Trump said such a move would hurt the United States and result in large defence contracts being handed to other countries, such as China and Russia. Zarif's statement came as Iran's President Hassan Rouhani hit out at what he described as "America's unjust and illegal sanctions", which he said "targeted the honourable nation of Iran in a clear instance of terrorism." "Economic terrorism is designed to create panic in the economy of a country and fear in other countries, in order to prevent investment in the target country," he added. On November 5, Washington unilaterally reinstated its energy and banking-related sanctions against Tehran, delivering on a promise to do so President Donald Trump made in May, when he announced the US's withdrawal from the 2015 Iran nuclear deal, also known as the Joint Comprehensive Plan of Action (JCPOA). Following Washington's exit, the JCPOA's other signatories, including Russia, China, and several European powers, began negotiations to save it, developing a spate of measures to ease economic pressure on Iran stemming from direct and secondary US sanctions, including a Special Purpose Vehicle (SPV) on trade.